As well as the Noir City Festival returning for it’s 17th installment at San Franciso’s magnificent Castro this weekend, there’s some great 35mm options including a Nicolas Cage 90s action Triple Feature (can you take it? ), a stunning recent restoration of Wings of Desire, an outdoor screening of 1993’s Tombstone on the set where it was shot, and much more in a varied weekend of retro offerings. Also check out our picks of the midnight screenings on offer for any night owls. Think the 1950s were buttoned-down and conservative? Think again. Dive into the 17th NOIR CITY festival and experience the rush of a turbulent and transitional time in American history, culture, and cinema. Nothing would ever be the same. Twenty four movies span twelve Double Features with band new restorations and a collection of new 35mm Prints! Until Feb 3rd. Dario Argento-Brian De Palma Double Feature! In BLOW OUT, John Travolta is a sound-effects man who accidentally records a fatal car crash that might be a hushed-up political assassination. INFERNO is the second part of Argento’s never-finished trilogy (with SUSPIRIA) about the Three Mothers, who rule the world with "sorrow, darkness and tears." New 4K Restoration. Wim Wenders sumptuous black and white fantasy of guardian angels that navigate the city of Berlin, which was still divided at the time. Keeping watch over human beings, one angel desires to become mortal after falling in love. Fritz Lang’s immortal sci-fi classic needs no introduction. A tale of two classes, the rich that frolic in the gleaming towers above and the workers that toil below the surface, still stuns almost a century later from Lang’s innovative in-camera visual trickery and stylish cinematography. A film that’s influence is everywhere in modern science fiction. Double Feature of werewolf classics with the first feature a wonderfully schlocky tale with Paul Naschy, who played the wolf creature in a dozen films. After intermission, it’s more schlock, this time dialed up to eleven. Japanese action legend Sonny Chiba stars as a vigilante superhero/secret agent who also happens to be the last surviving member of a werewolf clan. The less you know, the better. Trust us. A stylish and seductive submersion into the techno-scored neon nightlife of Taipei that The Metrograph says is “a transfixing trance-out of a movie, drenched in club lights, ecstatic endorphin-rush exhilaration, and a nagging undercurrent of ennui”. Triple Feature! Go full Cage this weekend with an overnight dose of three solid gold action classics with our man Nicolas Cage. All are excessively over the top, helped by the likes of Michael Bay, Jerry Bruckheimer and John Woo respectively. Extra points if you bring a stuffed pink bunny to the screening of Con Air. All screening in 35mm! One of the most iconic triumphs in cinema history, Seven Samurai serves as a bench mark in Asian cinema at the hands of Akira Kurosawa, whose influence stretched to the other side of the world. Starring Toshiro Mifune as one of the seven unemployed samurai recruited to help a poor village under attack by bandits to defend themselves. Twenty years on and it’s still baffling to see how this subversive and scathing commentary on capitalism got backed by a major studio. It tanked at the box office, not helped by many mainstream movie goers thinking it was a boxing movie starring Brad Pitt. The result is a beautifully dark satire that amassed a sizable cult following and regular screenings for the last two decades. Jirocho returns to Shimizu after two years of absence. With his wife, he decides to move into the warehouse of his wife's older brother. One day, Jirocho takes on him the grievances of his uncle, accused by the police, and must flee across the country. Part of the French Cinematheque’s absolutley massive 100 Years of Japanese Cinema retrospective. Get ready for a cinematic showdown at this special outdoor screening of the 1993 Shot at Old Tucson classic, Tombstone, shown on the actual “North End” movie set where the film was made! Outdoor screening at Old Tucson, 201 South Kinney Road, Tucson, AZ. Please bring your own seating. Bleacher seating is also available. Catch this bizarre Australian cinematic fiasco in which a modern-day politician is faced with an incomprehensible in this mystical-fantasy. A very rare 35mm screening from the G William Jones archive at SMU. 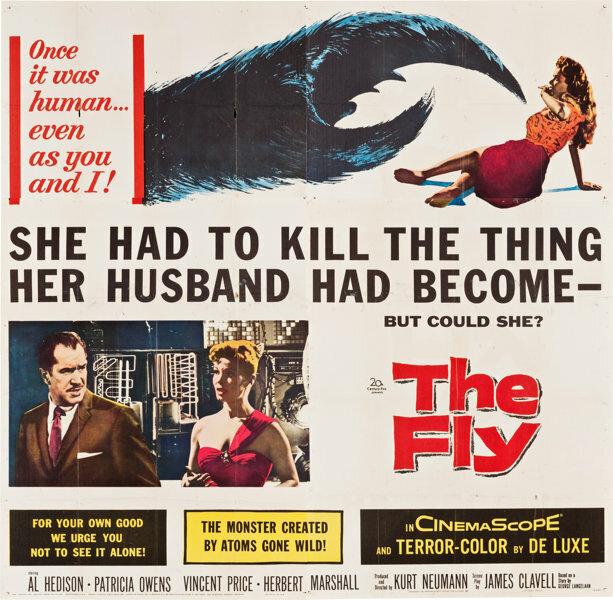 Back to back - the original 1950s thriller starring the king of schlock Vincent Price, plus the body horror-centric 1986 remake from David Cronenberg and starring Jeff Goldblum. What a treat! From the era of big budget, big action disaster ensemble spectacles comes the highest grossing movie of 1974! Starring (are you ready?) 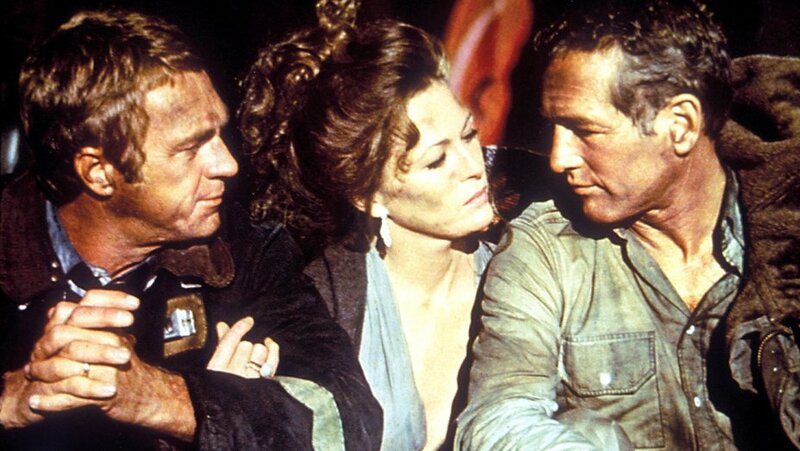 William Holden, Faye Dunaway, Fred Astaire, Susan Blakely, Richard Chamberlain, O. J. Simpson, Robert Vaughn, Robert Wagner, Susan Flannery, Gregory Sierra, Dabney Coleman and more, Towering Inferno was nominated for Best Picture, winning three out of eight Oscars. Perhaps you’ve heard of this one? The timeless Technicolor marvel that is Gone With The Wind turns eighty years young and The Metrograph has it in 35mm, with additional screenings over in Austin Texas in DCP format. Obviously controversial but well worth experiencing due to it’s soaring cinematic technical achievement. Academy Award winners Sandra Bullock and George Clooney star in this heart-pounding thriller that pulls you into the infinite and unforgiving realm of deep space. Directed by modern master Alfonso Cuarón, currently up for just about every award for Roma. Stunning in 35mm. Come spend the day marveling at four examples of a master at work (kept secret until the picture hits the screen), and bask in his one-of-a-kind je ne sais quoi in the company of fellow devotees, jolted along with surprises, special theme menus, and more! M. Night Shyamalan is such a bizarre Director, nailing one universally celebrated feature in The Sixth Sense, he became ultimately a divisive film maker dogged by audiences waiting for ‘the twist’ and increasingly savage reviews. Despite this, studios continued to bank on him as a sure thing. 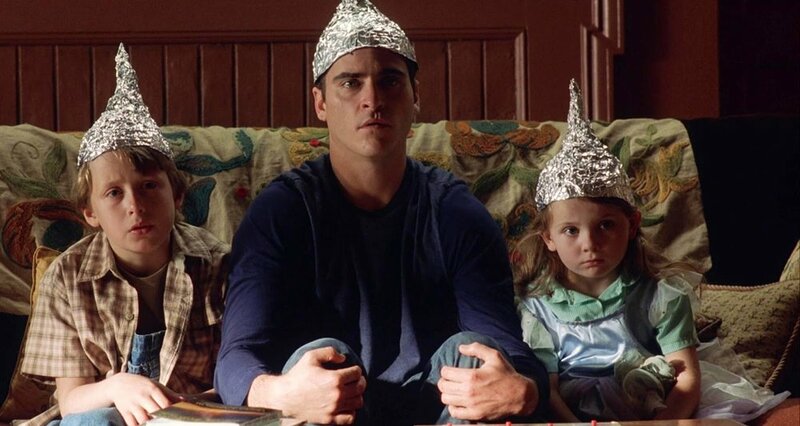 Signs was a gamble in telling a story of an alien invasion from a more isolated perspective, and is well worth revisiting with the Director making some interesting feature choices in recent years. A classic Civil War-set Spaghetti Western directed by Enzo G. Castellari in 35mm!! Chuck Connors betrays a gang of seven ruthless mercenaries! In 1864, mercenary Clyde MacKay (Conners) leads a squad of hard-case cutthroats on a mission for the Confederate high command: Infiltrate an enemy fortress and steal a million dollars in gold from the Union Army. 15th Anniversary! Raised in the African bush country by her zoologist parents, Cady Heron (Lindsay Lohan) thinks she knows about "survival of the fittest." But the law of the jungle takes on a whole new meaning when the home-schooled 15-year-old enters public high school for the first time and falls prey to the psychological warfare and unwritten social rules that teenage girls face today.